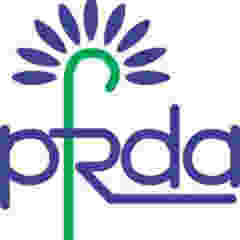 Pension fund regulator PFRDA is working on a minimum assured return scheme (MARS) for subscribers of the flagship social security programme -- National Pension System. It may be noted that initially, NPS was started for just Central government employees. However, in 2009 it was extended to all the citizens of India. Going forward, while there won't be any guaranteed fixed return under NPS, there might a minimum return over a period of time. NPS, having an asset under management (AUM) of Rs 2.91 lakh crore, had a subscriber base of 1.21 at the end of January. The regulator is in the process of designing and developing MARS, according to a document of the Pension Fund Regulatory and Development Authority (PFRDA). Some aspects, including what kind of guarantee -- absolute return guarantees or relative rate of return guarantees (sector and benchmark-based) -- can be reasonably provided by the pension funds with the recommendation of suitable proposals, need to be examined, said the expression of interest (EOI) floated by it. EOI has been invited from actuarial firms to design, develop and recommend MARS under the National Pension System that can be implemented under NPS architecture. The proposed structure of the scheme would include exit loads or exit penalty recommendation with respect to MARS (if required), clawback provisions, and guarantee reset period, among others, for subscribers.